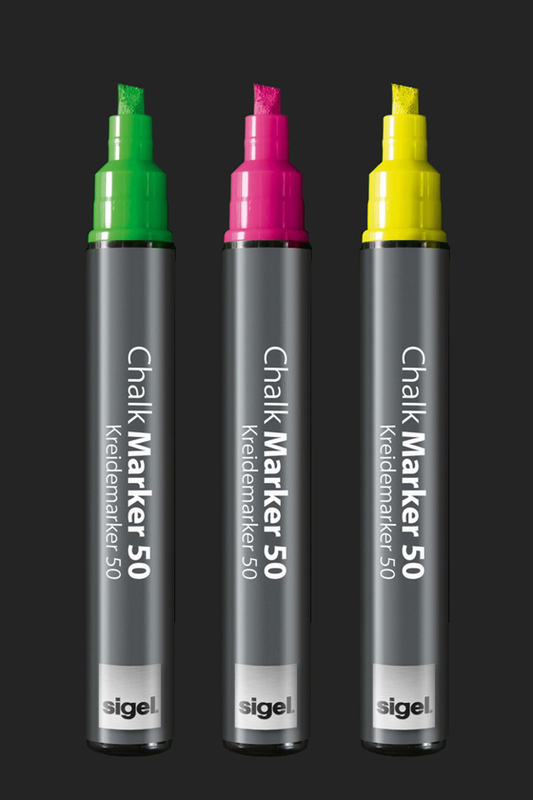 Strong colorful shades or classic white, narrow or broad - the chalk markers from Sigel are available in many variants. They are an alternative to chalk, have particularly high opacity, and are ideal for use on the green or black Write It on Tour. Just like with classic chalk, liquid chalk can only be wiped off using a damp cloth. 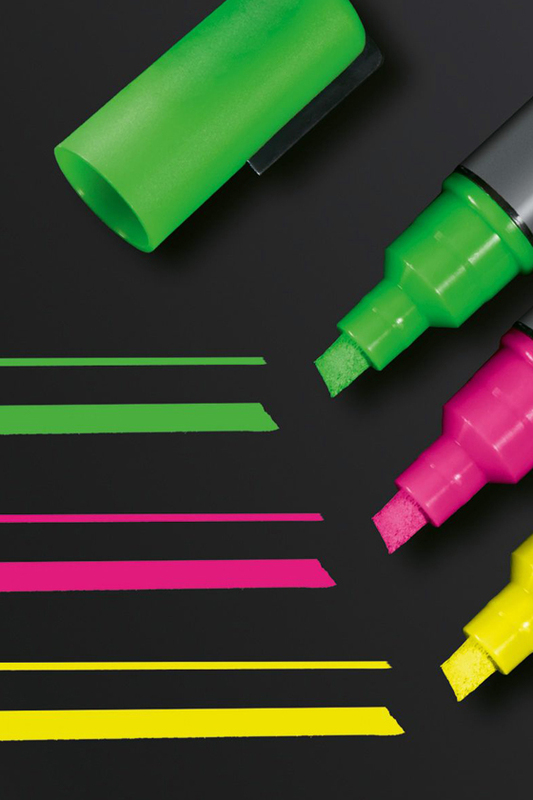 The narrow, water-based chalkboard markers with a 1-2 mm round tip are available as a set of 2 in the color white, as well as colored sets of 4 in the colors blue, green, yellow, and pink. In addition, we also have other chalkboard markers with a chisel tip, either broad or narrow..